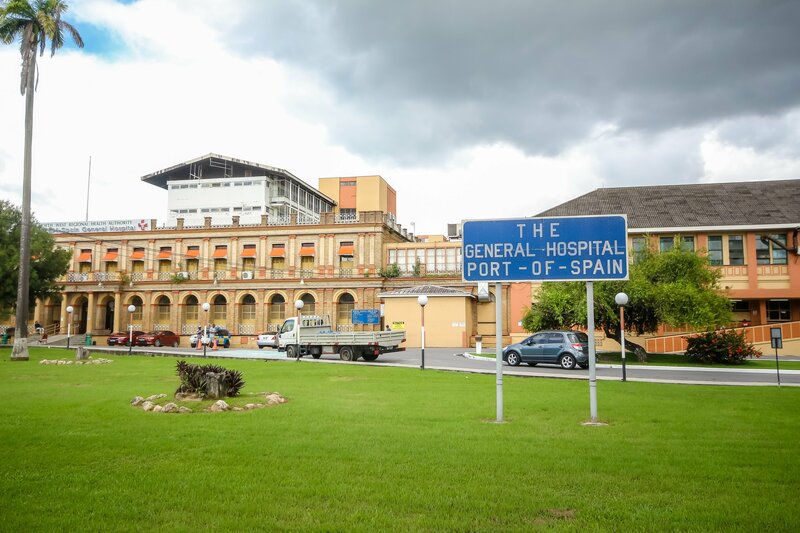 THE North West Regional Health Authority (NWRHA) has said it is still relocating patients from the 4th and 5th floors of the central block of the Port of Spain General Hospital (PoSGH). This was a precaution for the continued safety of staff, patients and visitors after the earthquake on Tuesday. The quake measured 6.9 and caused extensive damage to infrastructure throughout the country. The patients were being moved in case of further aftershocks. The relocation began on Wednesday. CEO of the NWRHA Wendy Ali said the decanting of the other floors would continue on a phased basis, and patients were being relocated to other areas of the hospital where they would receive the required care. The North Central RHA and the South West RHA were also providing support where it was required. Ali said, “A structural survey has been conducted by Udecott (Urban Development Corporation) and I am awaiting the report and any recommendations they may have on the way forward. The physiotherapy out-patients services and the physical medicine and rehabilitation clinics at PoSGH have been suspended until further notice. All other out-patients clinics resumed yesterday. The Accident and Emergency department was operating as usual. Udecott chairman Noel Garcia said yesterday, after a visit by structural engineers to the hospital on Wednesday, he received a report which showed while there was superficial damage, there was no structural damage, and there was no reason why the building could not be used. He said this decision was taken also in light of three reports from Aron Bush, PAHO and Lee Young and Partners, all of which spoke of the stress to both columns and beams and general deterioration of the building, which they believed posed a risk. “Udecott and the minister have commissioned Besson Consultants to come up with a short-term plan to implement some remedial work to make the building safer. “We are doing that to give assurance to members of the public and the health care staff at the hospital. Despite the reasons for relocating patients, former health minister Dr Fuad Khan said Deyalsingh was “unnecessarily inconveniencing and deliberately provoking” the hundreds of patients being relocated, in an effort to reinforce the “false narrative” that the central block required demolition and reconstruction. He said based on Udecott’s report, there was little reason to relocate these patients, and the minister was causing them more pain and suffering than they would have felt during any of the earthquakes they experienced over the past three days. Reply to "Patients still being relocated at PoSGH"